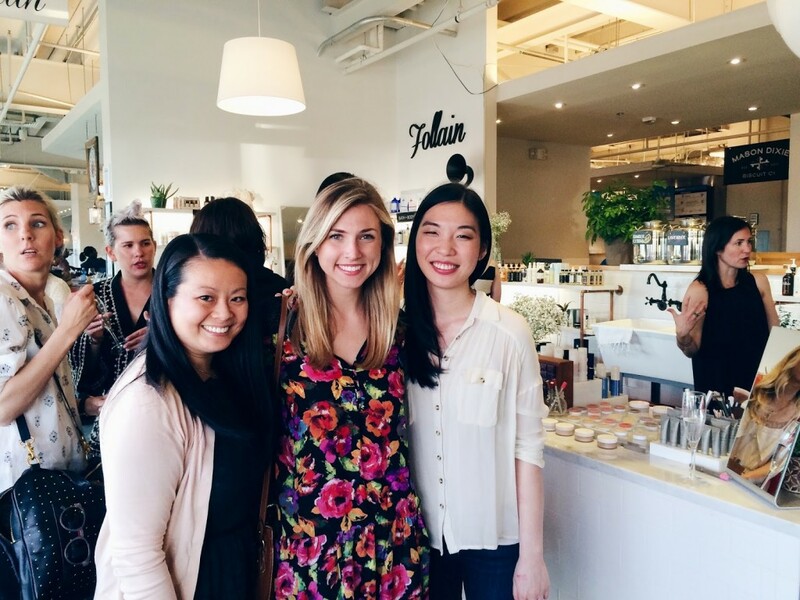 Green Beauty Grand Openings in D.C. 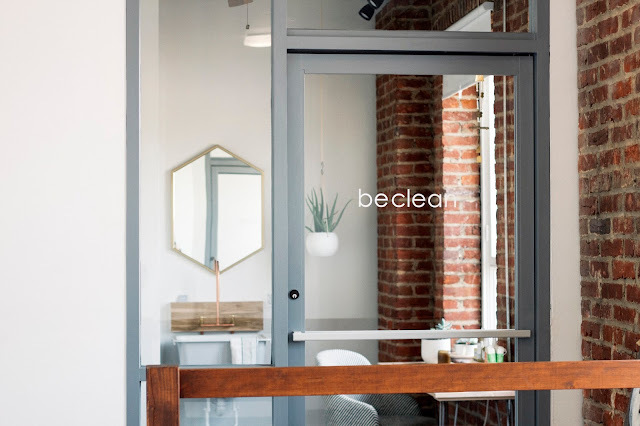 This month saw the happy opening of not one, but two green beauty shops in D.C. Be Clean opened up on the 3rd floor of 52 O Street NW and Follain permanently launched in Union Market as a pop-up-turned-shop-to-stay. I hiked over from Baltimore to attend both of the shops’ merry grand openings, had a gander around, and ran into friendly faces. Be Clean is the brainchild of Becky (she’s the one with the cute bob) and is located in a cozy studio. Products lined one wall, refreshments and vegan eats provided by Kate Bakes were nestled on a table adjacent on the other. 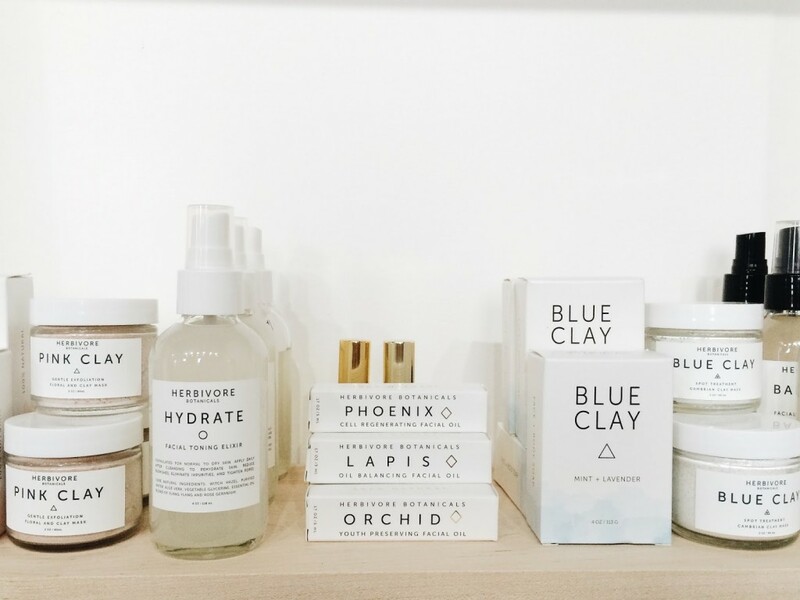 Many familiar faces grace the shelves, such as the pictured Herbivore Botanicals, Captain Blankenship, Aster+Bay, Soul Sunday, and Josh Rosebrook. I took a spritz of Hydrate, slathered myself in the Jasmine body oil, and admired the beautiful colors of the facial oils (got some Lapis for my sister as part of her birthday present). A brand in particular that was new to me was Na Nin. 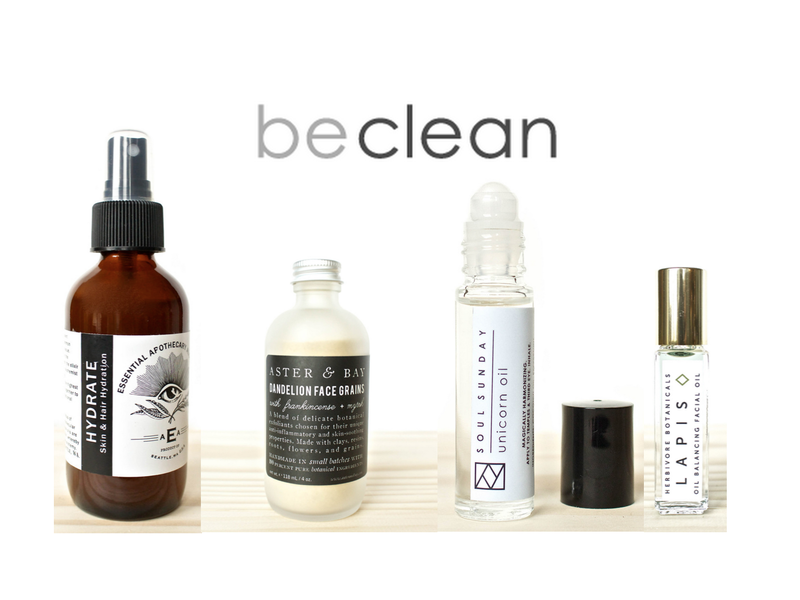 Be Clean carries two perfumes and body oils from the line, one of which, Landslide, is quite manly and woodsy, the other, Cedar Creek, quite reminiscent of incense (and my favorite). Products among Becky’s top 5? 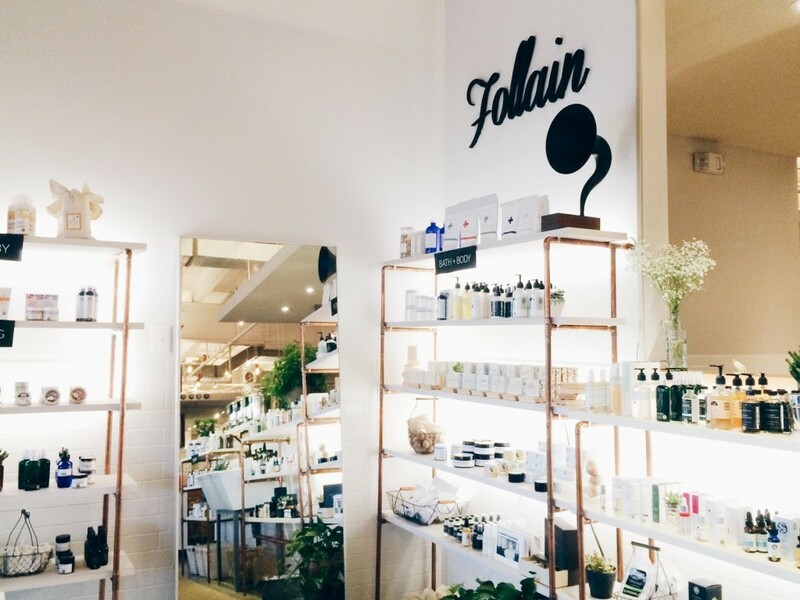 I’ve been coming to Boston-native Follain’s pop-ups in Union Market for a few years, and it holds a special place in my heart because it was the first time I stepped offline to say hello to green beauty. 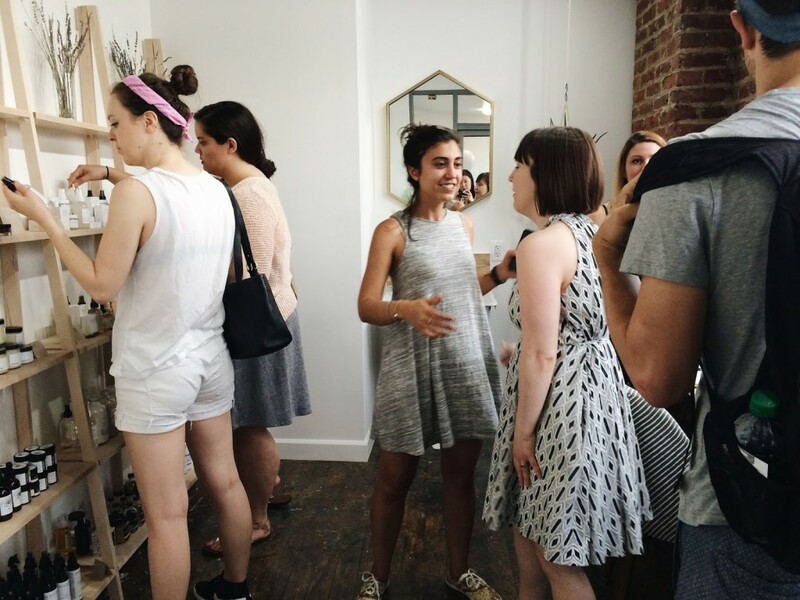 The first Follain pop-up I attended was also where I met my first Insta-to-real-life friend, @ecochicstyle_! We had been oohing and aahing over each other’s feeds for months, and to not only finally put a face on the handle but also have a buddy to rave about green beauty in person was a joy. I’ve always enjoyed my conversations with the formidable Tara, the founder of Follain, who is always so kind and helpful. Needless to say, I’m so glad Follain has a home in D.C. and in a great location like Union Market where people can just wander in for a bite or a juice or a walk and just stumble on healthy beauty. 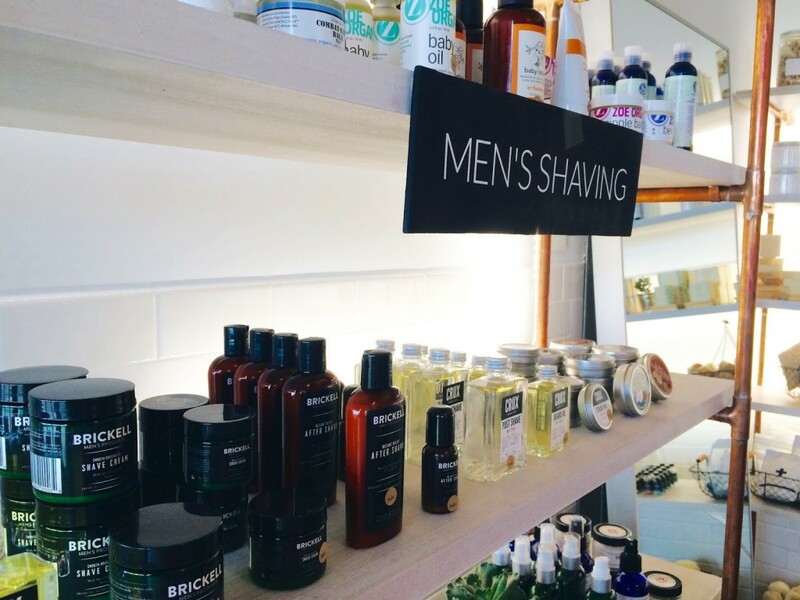 Green beauty’s not just for the ladies–there are lots of options for men (lots of new brands to me), mothers, and babies. 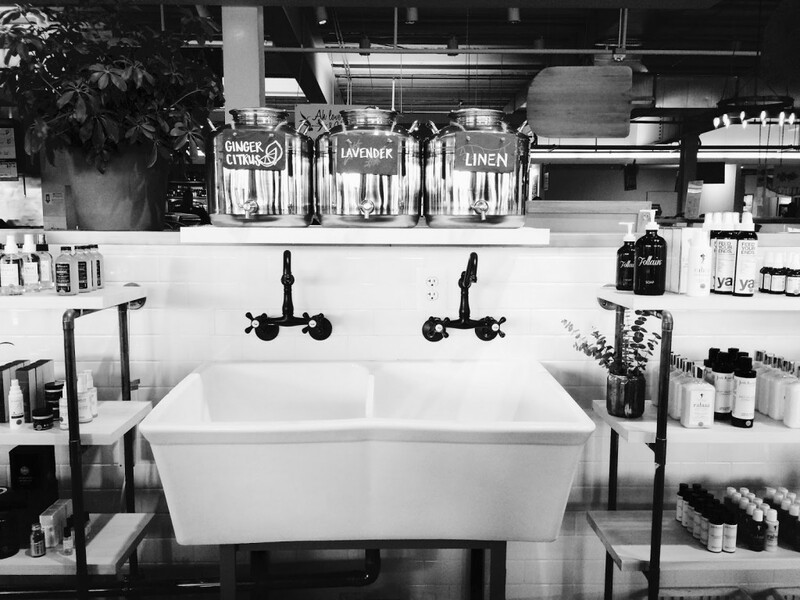 Love the sink details and that Follain’s refillable soap service has come as well. 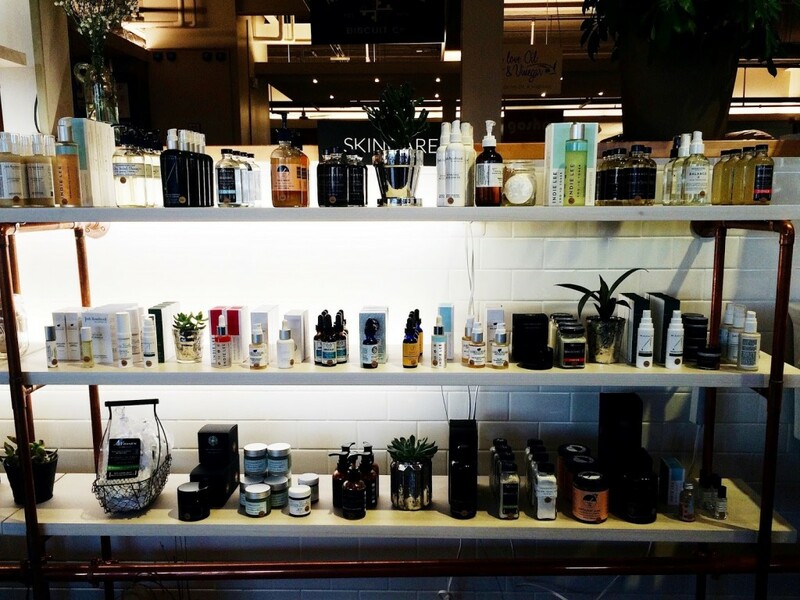 The skincare is organized by category (cleanser, toner, etc.) and skin type (oily, dry, etc. 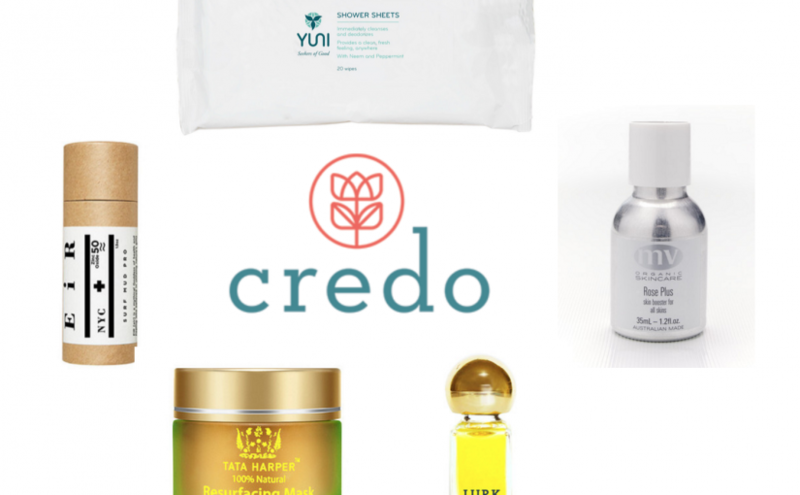 ), which is very helpful if you’re a green beauty looking for something new or if you’re completely unfamiliar with green beauty and want to get into it. I took a spritz of my favorite Hydrating Accelerator from Josh Rosebrook; tried some Tammy Fender Rose Toner (Yenny says this one is good), Indie Lee CoQ10 Toner (feels nice), Indie Lee Apple Serum (gel-ish kind of serum), and admired the rms Beauty Oil (loooove that vanilla). While Yenny and I were chatting, this gorgeous girl tapped my shoulder and said, “I think I Insta-know you…”. It was Jennifer, one half of the Unsullied duo! After dancing around each other for a while (she’s moonlighted before at Follain and I missed her sister at the last ANFGB), I was so happy to finally meet her. We also ran into another friendly face: Susannah Compton! You may know her from No More Dirty Looks as a contributing writer or from Integrity Botanicals blog, but you may not know that she is also developing her own perfume line which is set to debut at A Night for Green Beauty in Chicago this summer. She gave Yenny and I a sneak peek into some of the scents: one will be rose-y, another citrus-y, and the last (and apparently most controversial among testers) jasmine. I’ve got my eyes on the jasmine. Disclaimer: All thoughts and opinions are my own. I am not being compensated for my words. 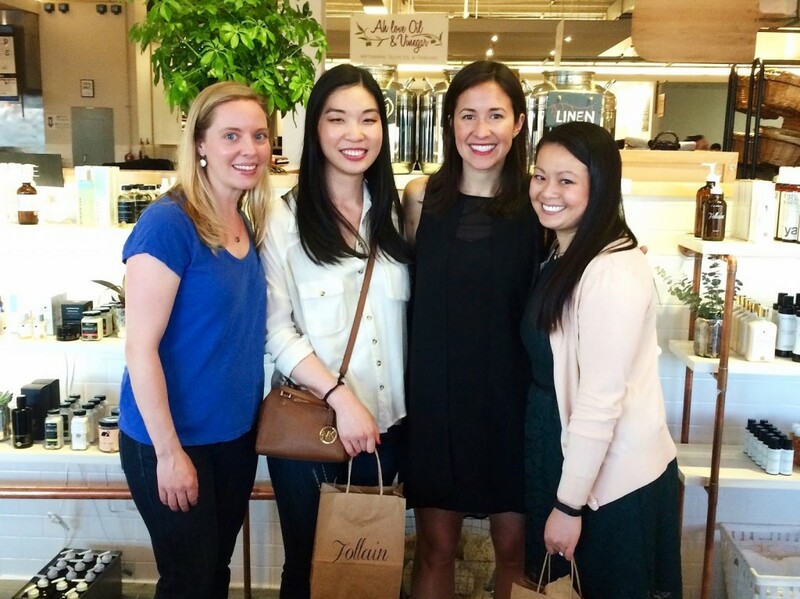 Posted on May 27, 2015 December 31, 2015 Categories makeup, skincareTags be clean, field trip, follain16 Comments on Green Beauty Grand Openings in D.C. If you’ve watched my last video (if you haven’t, get on it here), I mentioned Be Clean, a shop in DC, in relation to some Soul Sunday aromatherapy rollers I purchased from their online boutique. I was prompted to purchase by an Instagram giveaway they held celebrating the soon-opening of their brick-and-mortar shop, and I am happy to say the day of the grand opening is finally here. 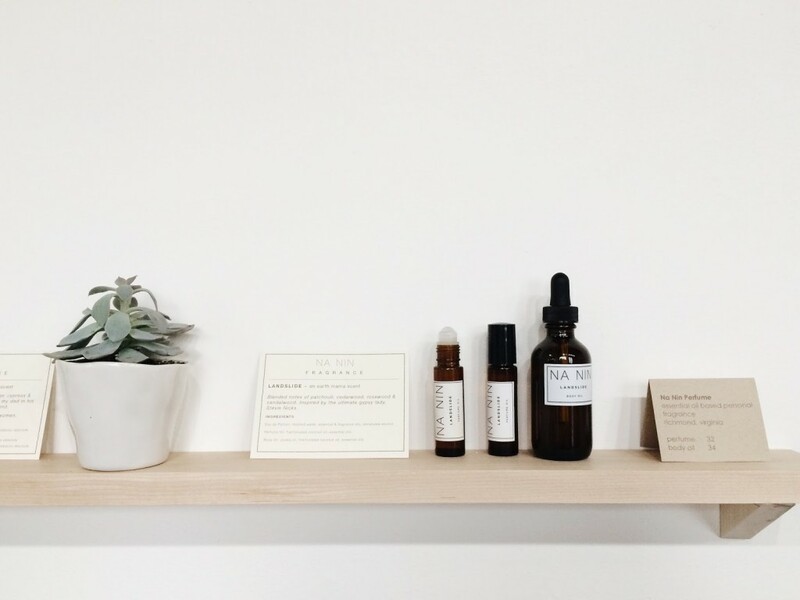 Since the world of green beauty is so largely centered online, it’s a thrill to see shops taking it from online to real life. Frankincense hydrosol and marine phytoplankton. Them sea algae have some serious moisture game and I love me some exotic hydrosol. Also, sandalwood and rose geranium. Some of my favorite scents. I’ve been eyeing this brand and this product for a while. Dandelion root, marshmallow root, licorice root, fennel seed? Sounds detoxifying and delicious as both an exfoliating scrub and a mask every now and then. Have to include this one, because unicorns. Since I already have a unicorn of my own, I’d like to sniff some of the other blends, such as No Worries. I always can use a little help to de-stress. I have also been eyeing Herbivore Botanicals’ facial oils since their launch. Lapis is probably the best pick for my kind of skin–blue chamomile and blue yarrow are apparently anti-inflammatory and anti-bacterial, and I’m obsessed with jasmine. Also, it’s BLUE. Honorable mentions–Becky also mentioned they’ve just started carrying Josh Rosebrook (love that Hydrating Accelerator and the Nutrient Day Cream), but it’s only in the studio for now. 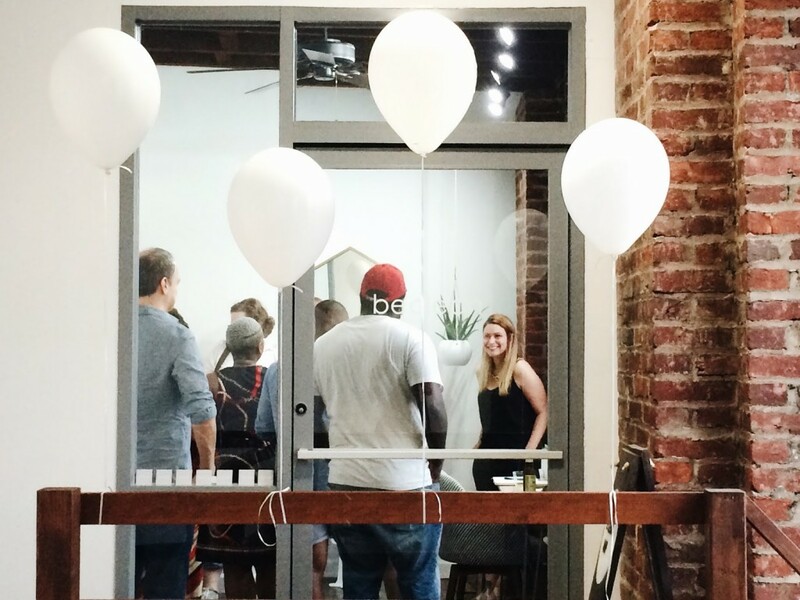 Why: To celebrate Be Clean’s grand opening! What: Sips, snacks, local food tasting, and special promotions all afternoon! I’m planning to be there, and for all of you in the D.C/Baltimore area, I hope to see you there too! For 15% off all orders, use the code nephriticusfriends and please let me know what you decide to pick up. This code will be valid until next Wednesday, May 20. Disclaimer: Excluding the event details, screenshots, and snap of the shop (I’ll be sure to snap some of my own this weekend), all thoughts, hopes, and opinions are my own. I am not being compensated for sharing the good news.